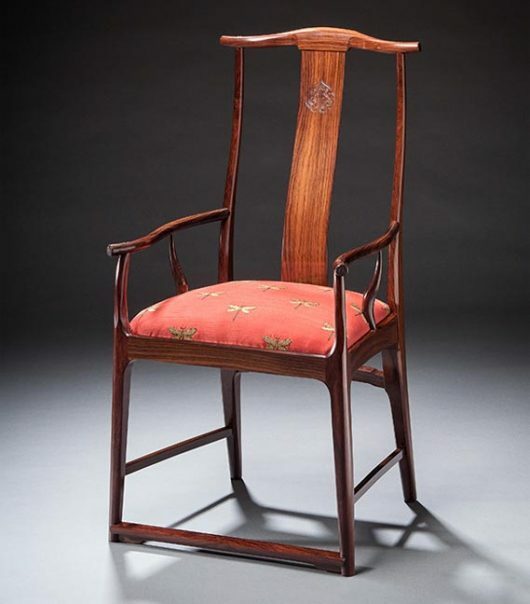 This version of my Crane Chair moves closer to one of its original inspirations—the darker wood, backsplat carving, and foot rail are elements found in the classic Chinese Official’s Hat chair. 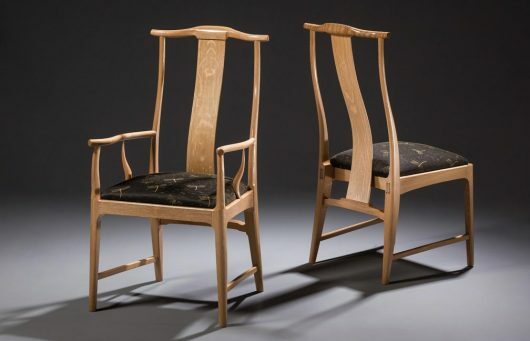 The initial idea for these chairs came to me while sketching in a gallery. 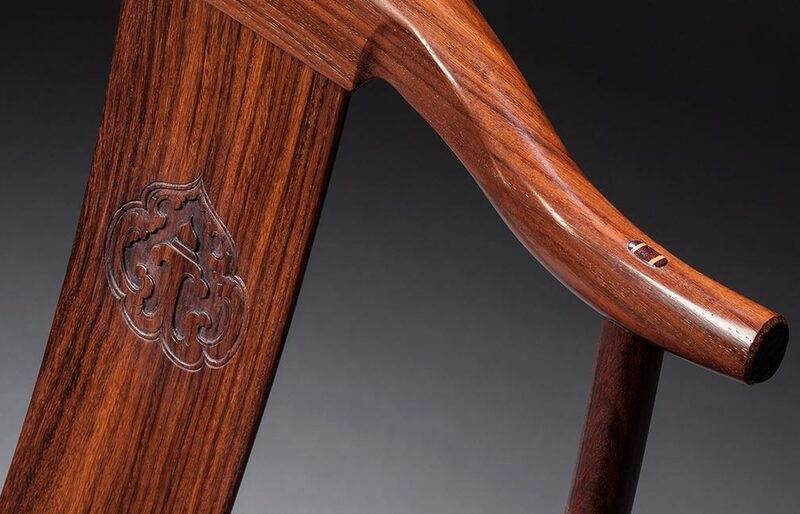 Re-imagining a chair I had made 10 years ago, I drew it again with a Ming dynasty influence and arrived here…my version of a classical Chinese design. 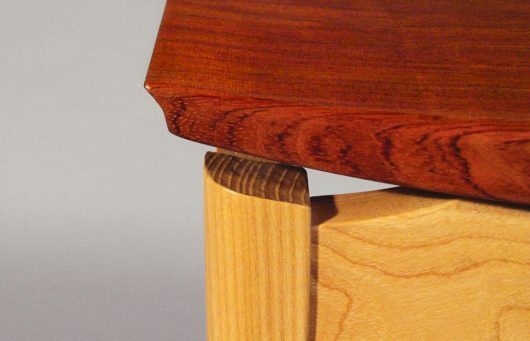 Many of the details were not established in the drawing; instead, I found them as I worked the wood, allowing my eyes and hands to tell me when the shape was right. 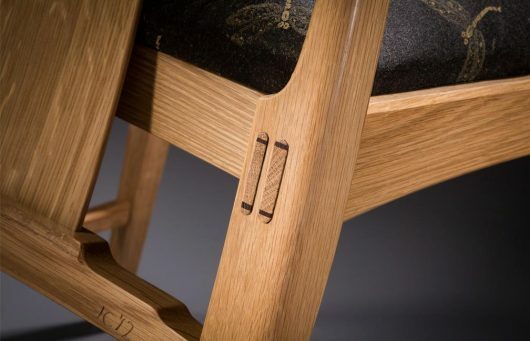 Tuning a curve, adding a facet, constantly looking and questioning as I worked, a sculpted fluidity emerged and the chairs came to life. 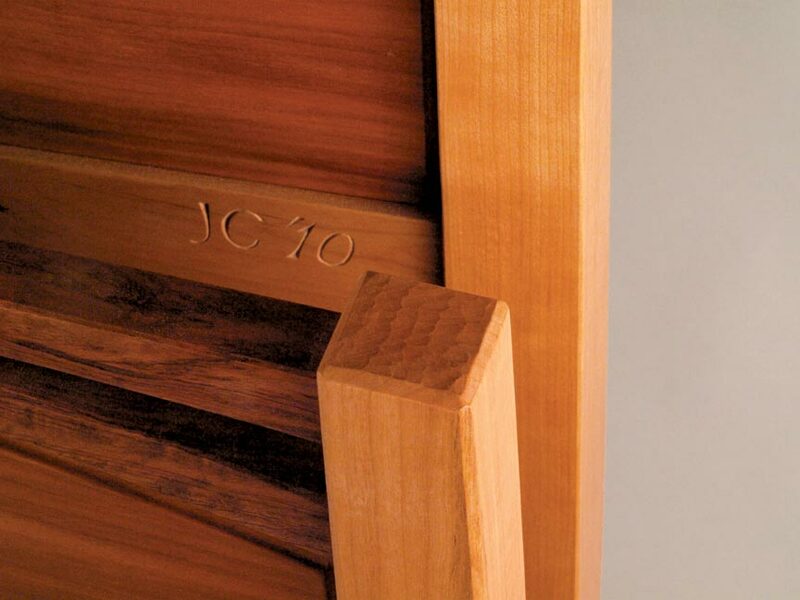 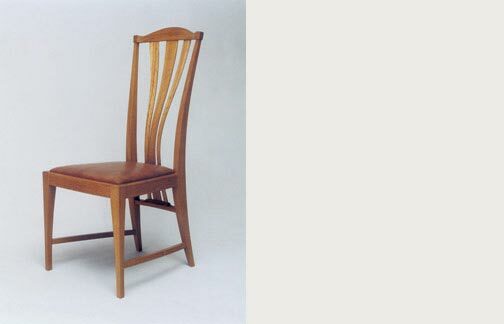 Strong double-through tenons hide in long, sinuous curves, making a sturdy yet graceful dining chair. The contoured back flexes as you lean on it, providing comfort and support. 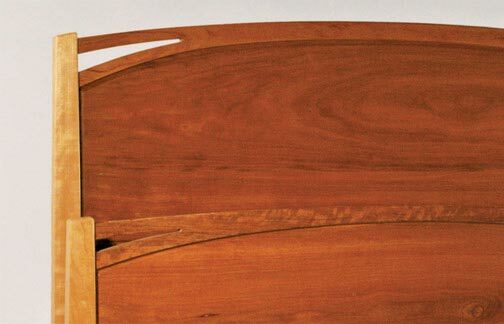 A contemporary take on Chinese joinery, made in light wood with a curved, comfortable and richly colored seat. 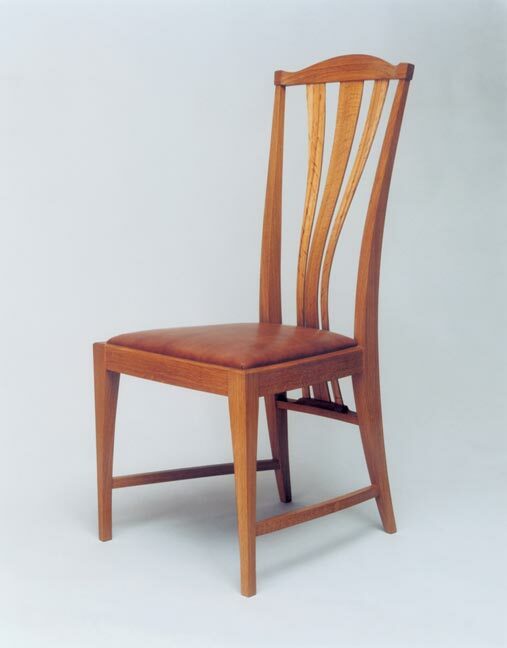 A classic modern design by Wharton Esherick, the Philadelphia woodworker considered to be a father of the studio furniture movement. 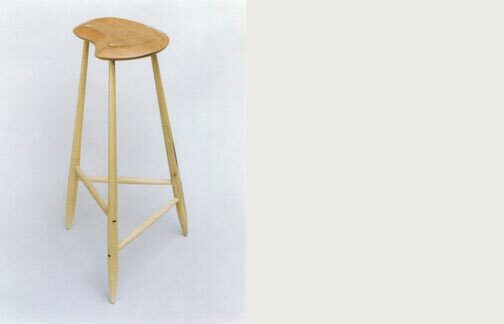 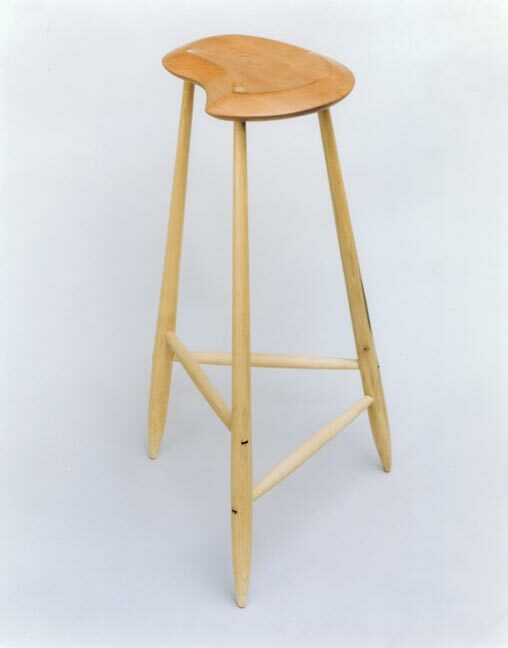 Sturdy yet light, riven hickory legs and stretchers flex slightly as you sit, giving comfort to a solid wood stool. 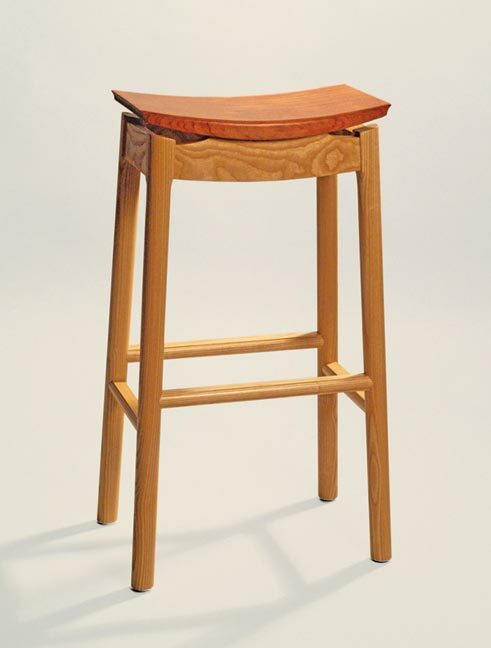 I’ve made a number of these over the years, using various woods for the seat. 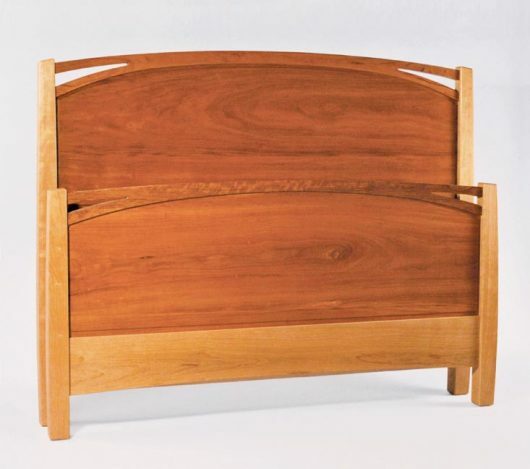 A unique plank of local air-dried cherry, with rich color and figure, became the focal point of this bed. It is an interplay of subtle and strong curves.